Sewing is like opening that brand new box of crayons at the beginning of a school year . Half the fun is melting those colors together to make the colors whisper lightly or shout out vibrant stories. I took my quilt tops to Jackie to quilt and had as much fun picking the quilting designs and color of the threads as I did in the quilt store picking out the colors of material to piece the tops together. 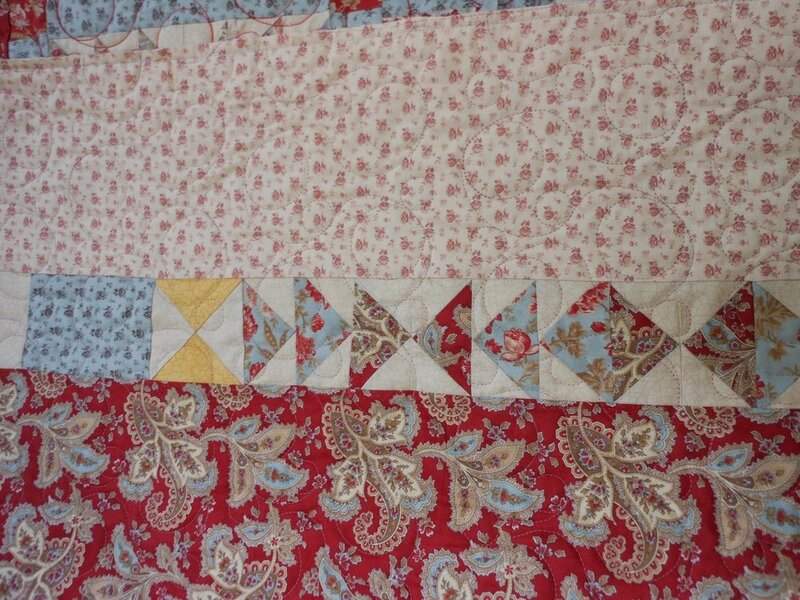 It was great to have Jackie’s suggestions with pattern designs for the quilting. Jackie didn’t mind spending the time with you in making your choices and treated each quilt as if it was a masterpiece going to be in the Smithsonian. 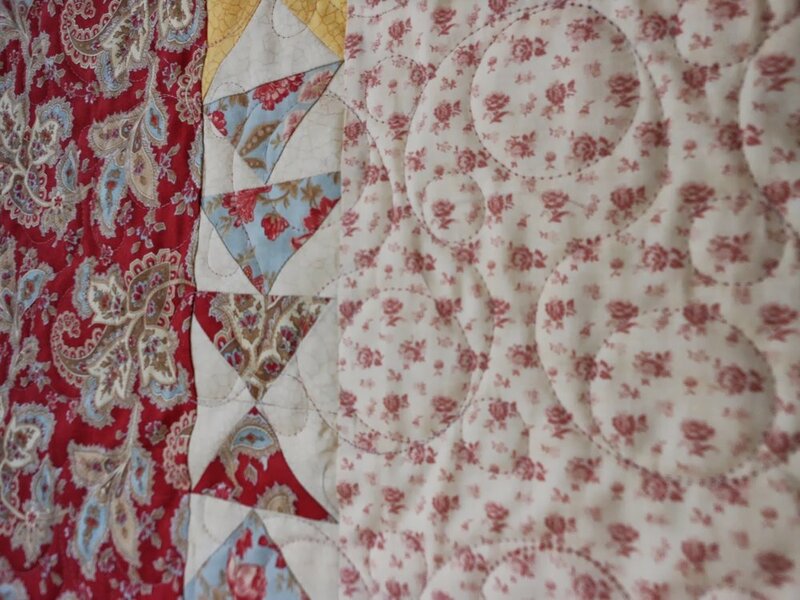 It was very important to her that you were happy with the choices made and the outcome of the quilted piece. Thank you Jackie-I have more quilts coming. I wanted to do a quilt with flying geese. This quilt is my favorite because of the design and the colors.